Hello lovelies! 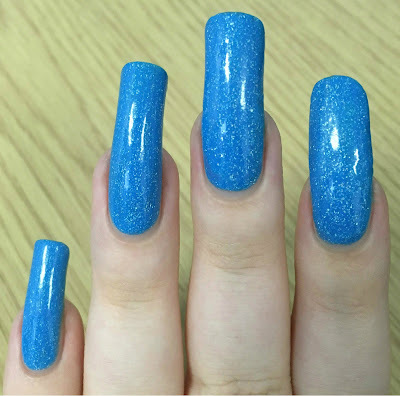 Today I have an exciting polish to share with you. Picture Polish recently released new shades, several of which are collaborations. 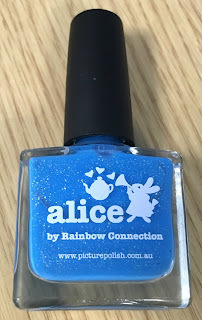 One is a collaboration with Rainbow Connection, and is a bright blue named 'Alice'. Anyone who knows me will know I'm obsessed with Alice in Wonderland at the moment, so this had to be mine! Read on for my swatch and more info. 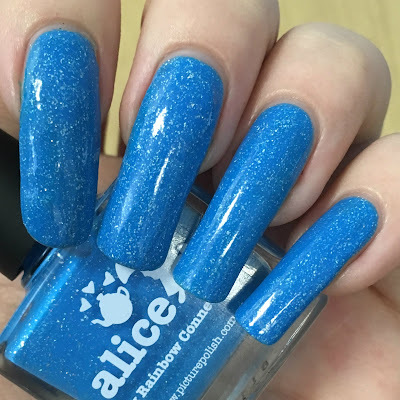 'Alice' is a bright blue jelly scattered holographic. The formula is super smooth and easy to apply. It is slightly sheer due to being a jelly, though surprisingly built up to be opaque in two coats. I added a third to see if it would deepen the colour but it didn't make a noticeable difference. The tiny silver flakes lay flat on the nail, so don't create any texture. Below is three coats and topcoat. What do you think? I absolutely love it! I wore it as a full mani for over four days which is far longer than I've worn any other polish recently. This might even be my new favourite Picture Polish. 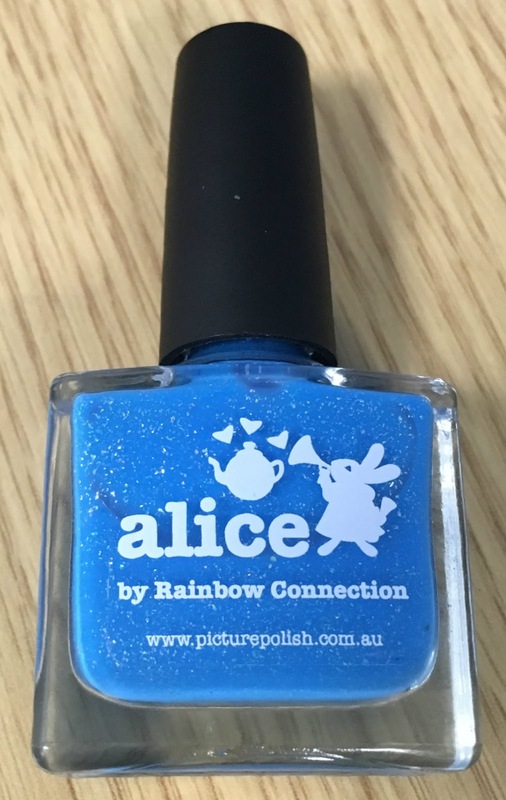 It's a gorgeous colour, has a great formula, is inspired by Alice in Wonderland, and just look at the cute pictures on the bottle! Again, this had to be mine. 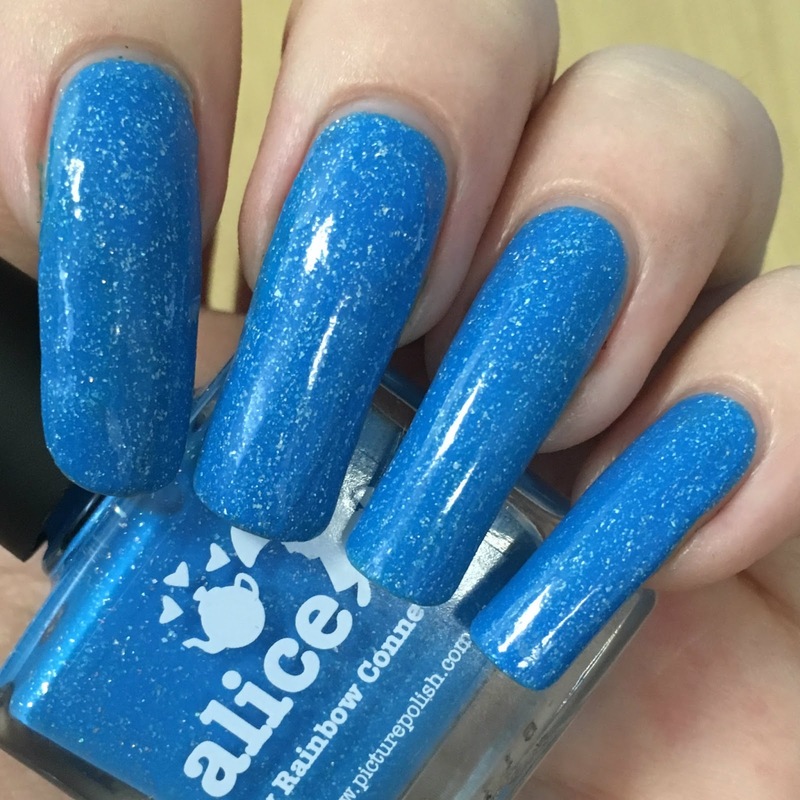 You can find 'Alice' for £9.99 on the Rainbow Connection (UK) website here. 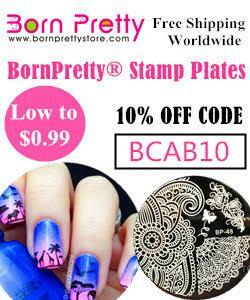 You can also purchase it directly from Picture Polish here. That is definitely a very pretty Alice blue! This is a perfect Alice blue! Love the silver flakes-- it looks lovely on you! Ooh this is amazing, I love this colour.